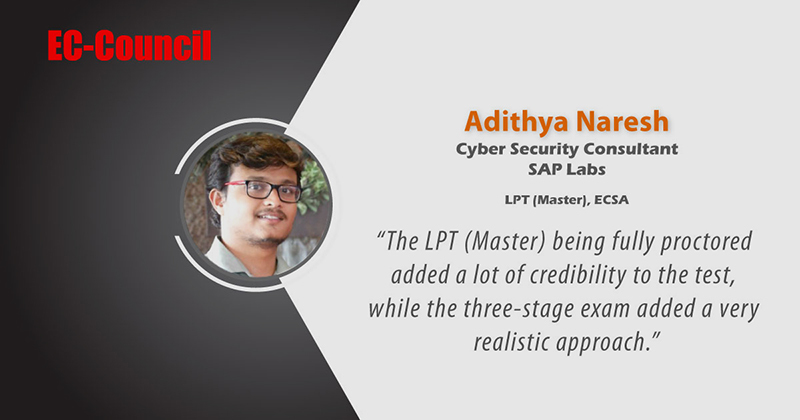 EC-Council > Testimonials > Adithya Naresh – The LPT (Master) being fully proctored added a lot of credibility to the test, while the three-stage exam added a very realistic approach. 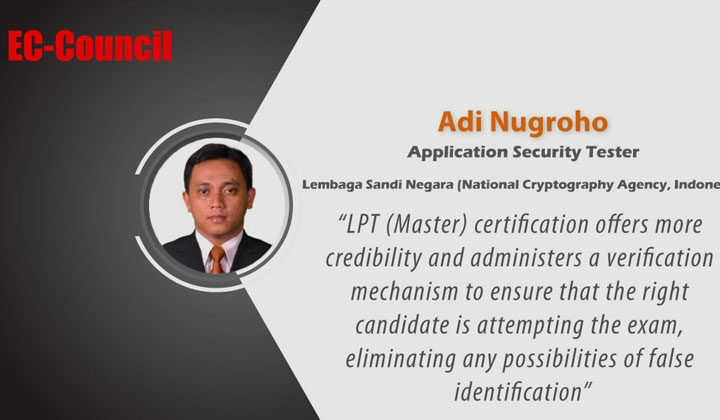 I certainly recommend the LPT (Master) test as it was the perfect way to validate your Penetration skill set. The three-level examination was an added bonus as it depicted a real-life scenario, giving you ample amount of time to refresh and recover, helping you think of various ways to solve a problem, rather than streamline it. 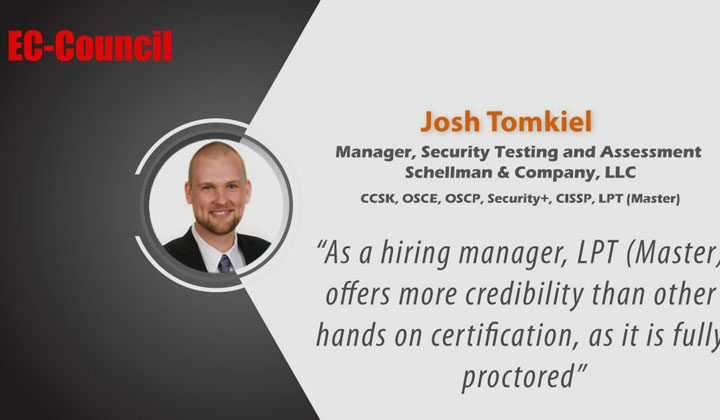 I suggest that future candidates possess some form of experience in the real-world before attempting the test, as I found that the challenges required a highly advanced skill-set. In a realistic view it covers everything that an outsider would need to get into a system. The challenges that I found most helpful and interesting included pivoting and port forwarding. There was one particular WordPress challenge that I am partial to streamlining, however, the LPT (Master) forced me to think of various other ways to complete the task. ONe particular part of the exam that caught my eye was privilege escalation. 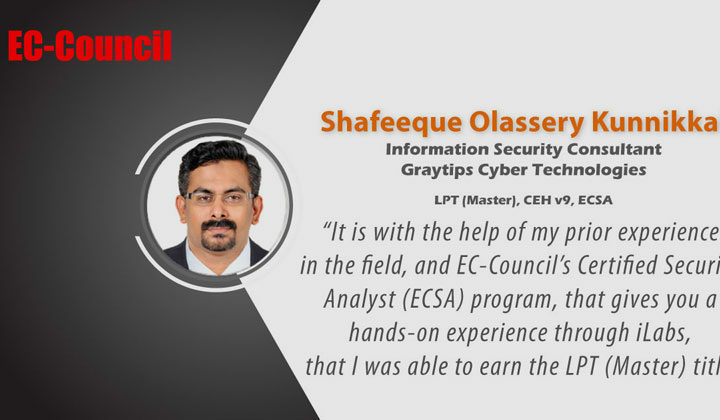 Most of the systems run on the linux servers, which means that you require privilege escalation. This motivated me to move through the challenge. 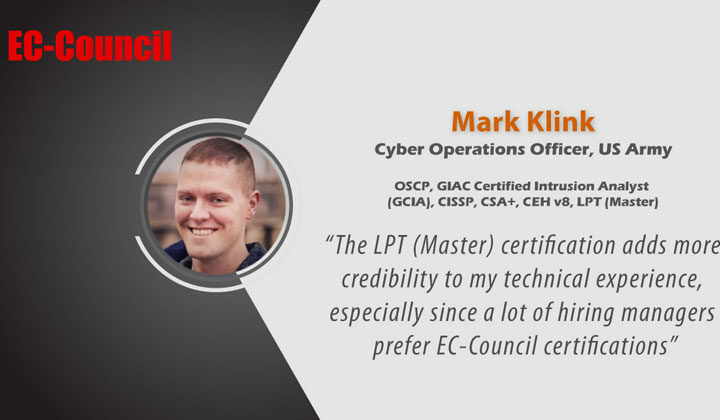 Taking everything into account, I would rate the LPT (Master) a 5 out of 5 as I didn’t expect the exam to have so many challenges, which were not only tough but, all covered just about anything a real penetration tester would face. The test being fully proctored also added credibility to the test, while the three-stage exam added a very realistic approach.